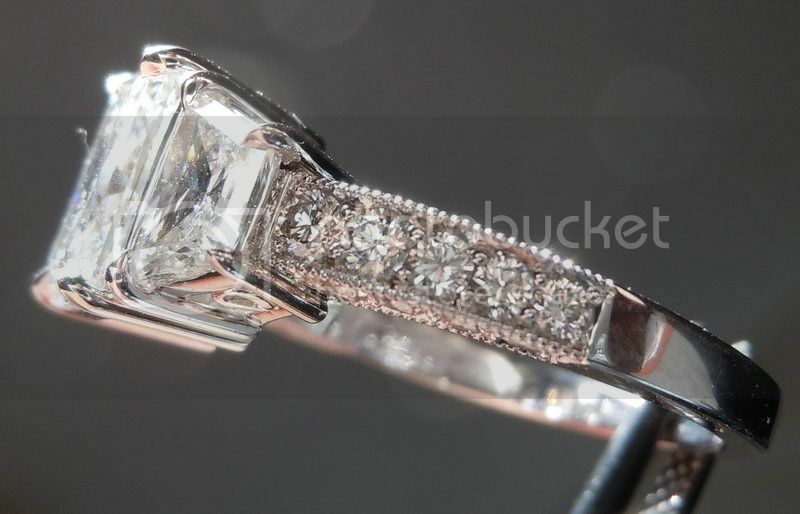 This item has a starting price of $10875 with diamonds purchased from Diamonds by Lauren. 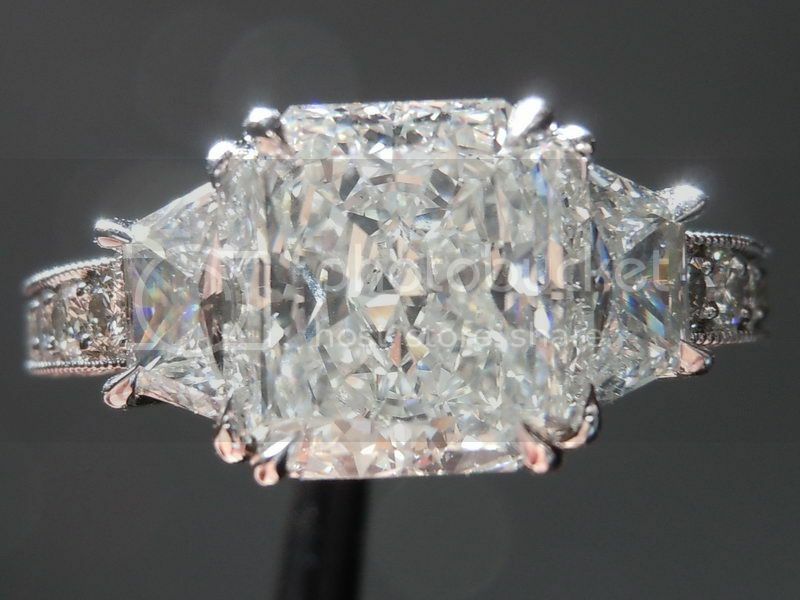 As shown with a 2.48ct F/VS2 Radiant Cut Diamond (not included in the price of the listing). 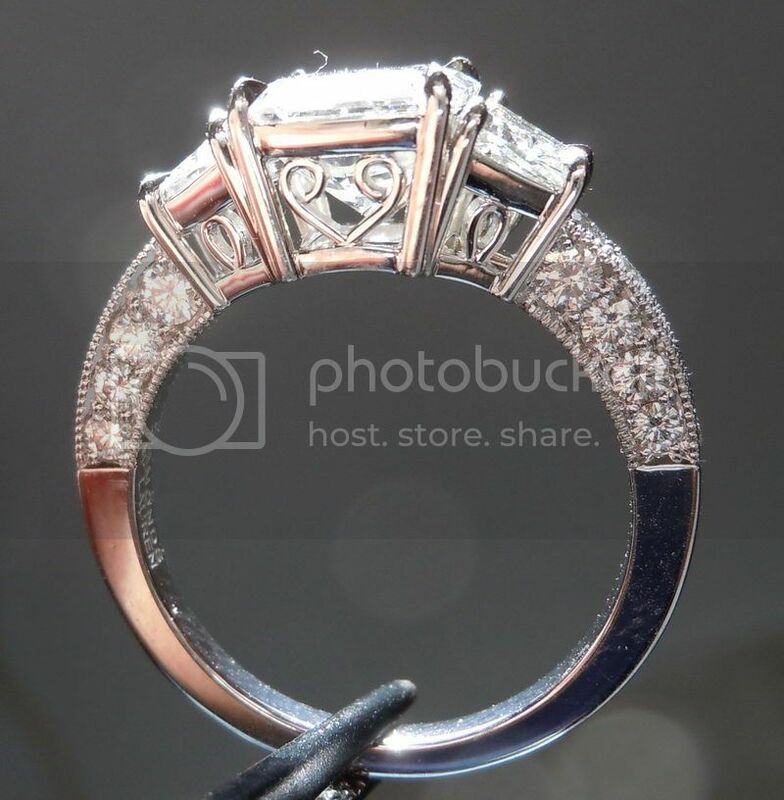 Our service to you includes not only jewelry work on par with the best in the world- but also in the counseling on side stone and ring proportions, and specifics. Since we have made thousands of custom made rings we know what to expect - and how to avoid potential miscues. Side stone selection is critical. The setting is 100% "Uber" in its finish - look at the bends of those wires - perfection. Lifetime warrantee on the workmanship. In terms of side diamonds, we have tremendous resources for well matched side diamonds. We will source some candidates, and you will approve them. 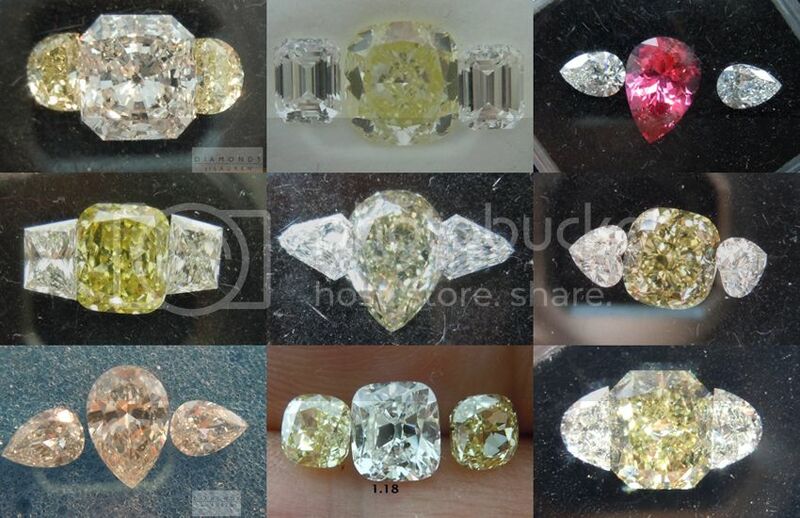 All the photos below were taken for, and emailed to clients to assist them in picking side diamonds. 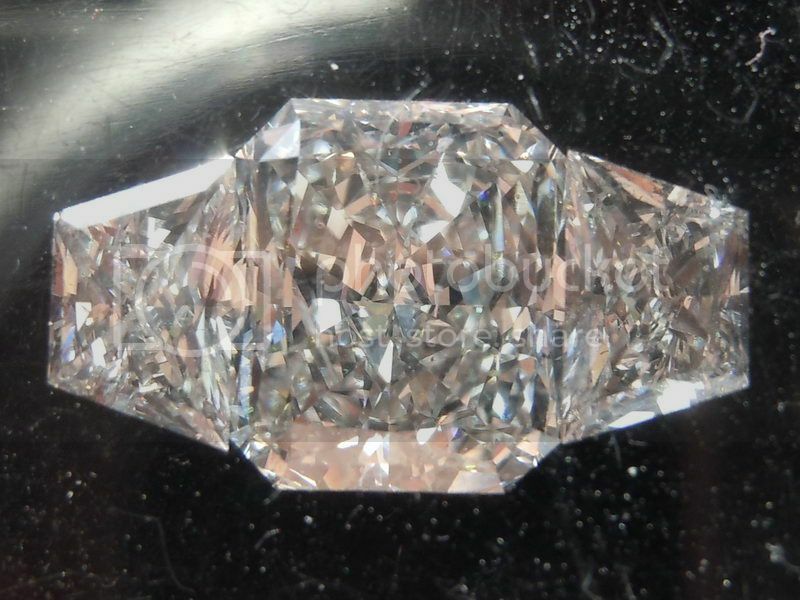 The photo below is of the 2.48ct F/VS2 Radiant Cut Diamond with the .90cts F/VS Trapezoids prior to setting. 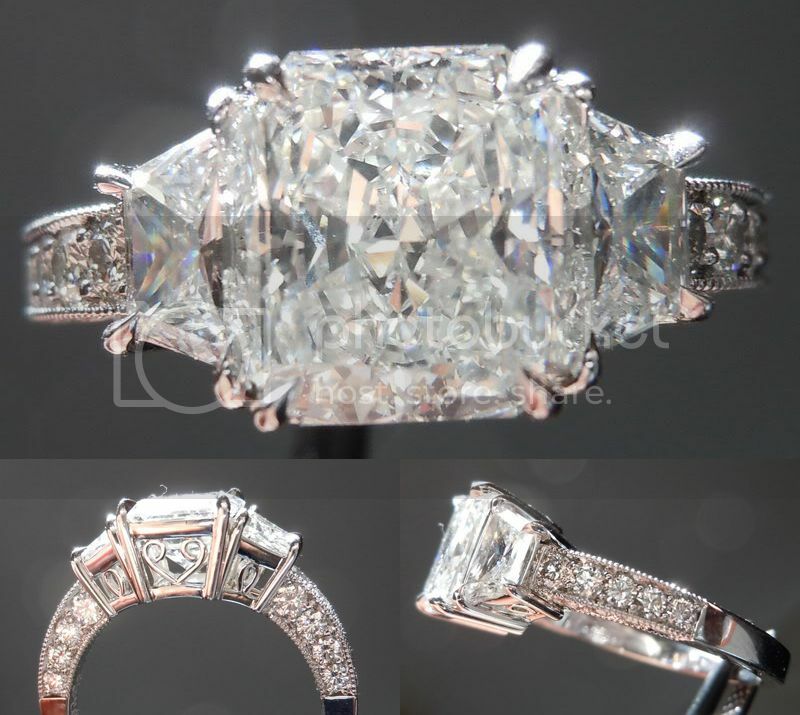 In this case we picked extremely full- the sides are as long as possible without "spillover" I also love the way the angles work with the corners of the 2.48ct Radiant. 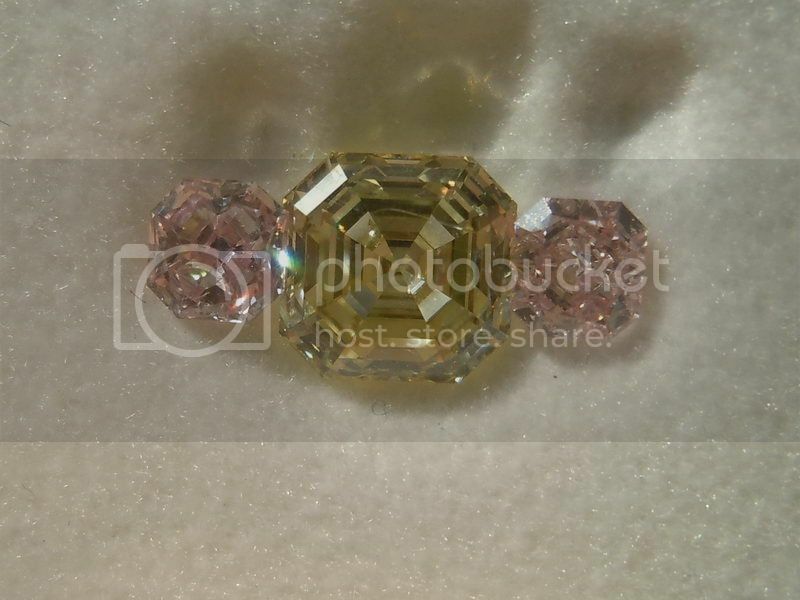 We can also supply fancy colored side diamonds. 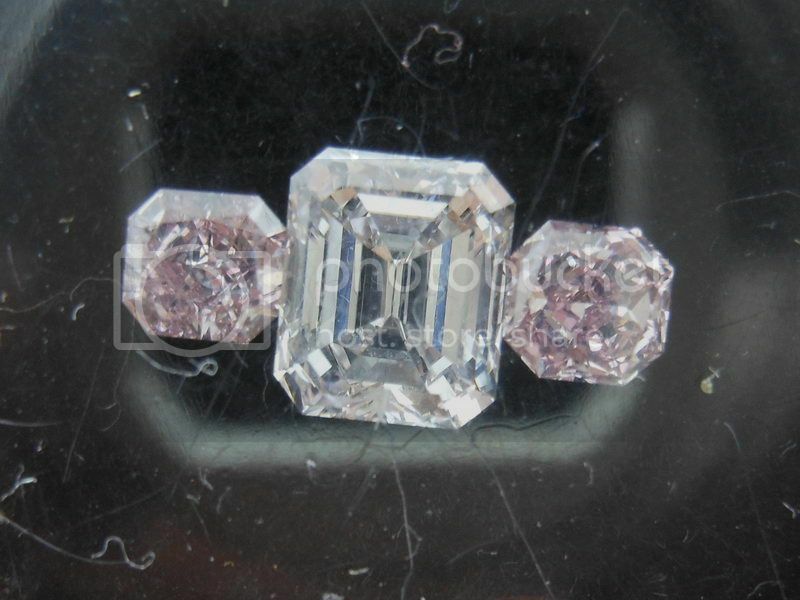 In the photos below, the side diamonds total .57ct Fancy Purplish Pink, and well priced at $15k for the pair.